How ’bout a bolta Volta? Once a year, right across from the Empire State Building, an unassuming showroom is transformed into an eye- and mind-blowing assemblage of cutting-edge art from all over the world–video, photography, painting, sculpture, drawing, installations, and probably some forms that don’t even have names yet. This is the Volta Art Fair. Click here for the online catalog. 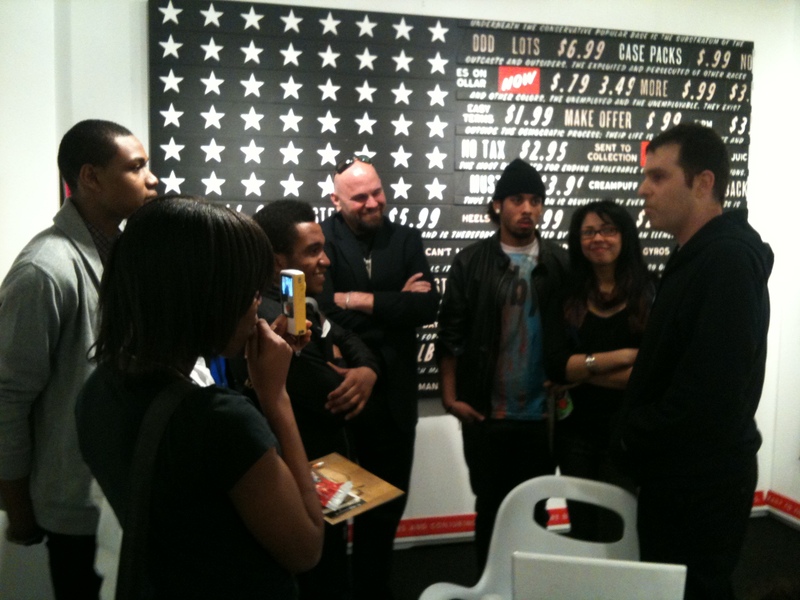 The Galeristas Adolescentes chat with Skylar Fein at Jonathan Ferrara's stand last year. 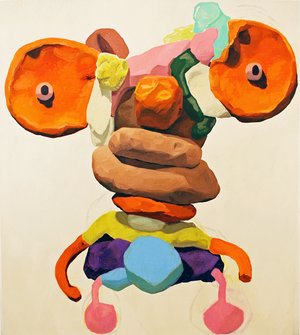 It was at the opening of VoltaNY2010 that our Galeristas Adolescentes convened for the very first time–touring the stands, talking with dealers and artists about their pieces , dancing with transvestites, and joining in a pie-eating contest. Click here to see some random pics. You’d better believe we’re going back for a second helping!